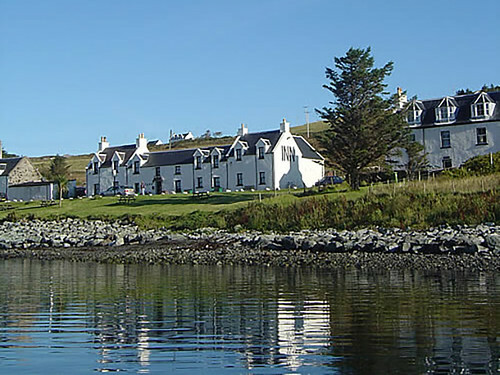 Enjoy the superb views of the Cuillins and across the waters of Loch Varkasaig from this stunning holiday property sleeping six with all mod-cons. 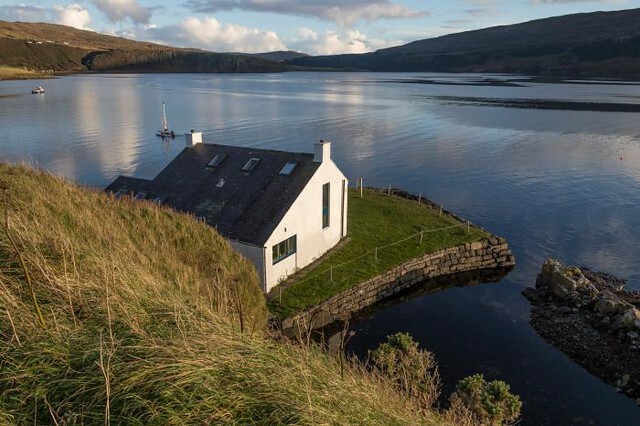 This beautifully presented detached former croft house, situated on the water’s edge, has been lovingly refurbished to a very high standard and enjoys superb views of the Cuillins and across the waters of Loch Varkasaig. 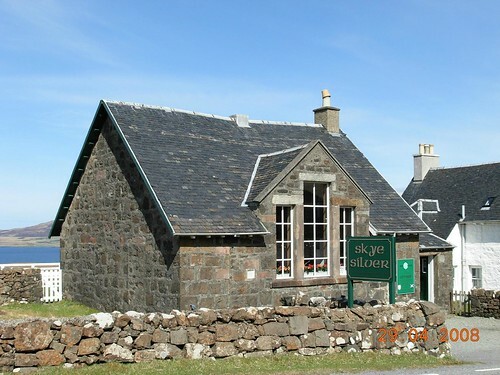 Visit Dunvegan Castle, the Coral Beach, the lively town of Portree with its colourful harbour and Aros Centre. Climbing, hill walking, mountain biking, fishing and regular boat trips are all perfect for experiencing the abundance of wildlife on holiday. Shops and pubs 5 miles. Large living room with wood-burning stove and cathedral ceiling. Spacious dining room with slate floor. Large well-equipped kitchen with Rayburn, gas/electric cooker and slate floor. Double bedroom with super king size bed. Shower room with double shower cubicle and toilet. 1st comment: Lovely warm property with outstanding views. The layout is perfect with no wasted space. 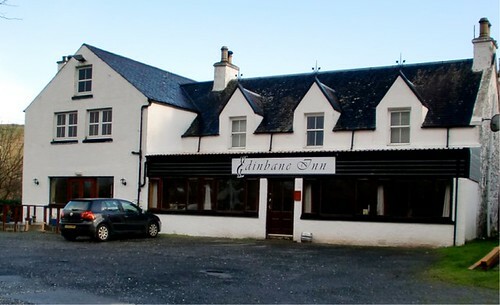 Ideal location isolated but also close to Dunvegan with its shops and restaurants. Oct 2011. 2nd comment: A beautiful house, tastifully furnished in an idyllic location, where the only sounds were from the sheep and the birds. Highly recommended. Aug 2011. 3rd comment: Climbers, walkers, a wildlife paradise. Out of the panoramic window, we saw an owl visit the tree most nights settle and stay from the same window bats, stoat, hare, an avocet & many many more. The house is a gem the owners hand books a great help. June 2011. 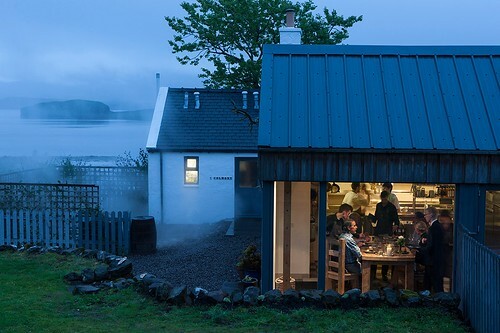 4th comment: Superb cottage - couldn’t fault it. The cottage has been sympathetically renovated to very high standard while managing to keep its character, but at the same time modernised where necessary to make your stay as easy and comfortable as possible. The view from the sitting room is fabulous. March 2011. 5th comment: I liked the location and particularly the outlook from the large window in the lounge, as well as the views from the bedrooms and kitchen/dining room. The property was well heated and centrally located for touring. Oct 2010. 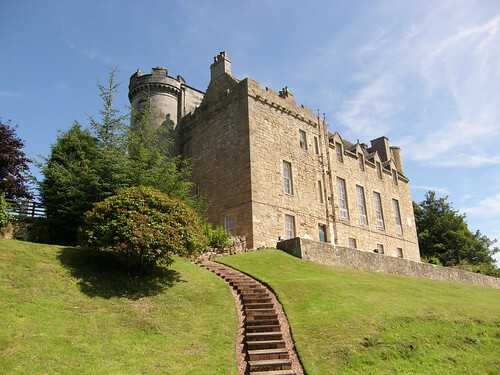 6th comment: The property was of a very high order, in a superb setting. Oct 2010. 7th comment: Stunning location and standard of accomodation. Aug 2010. 8th comment: Wonderful location. 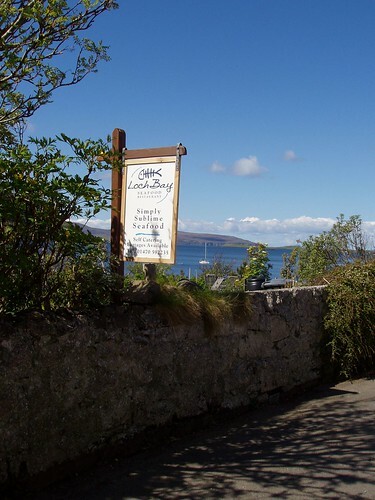 The photos on the website don’t really do justice to the fact that the property let’s you feel that you’re almost on your own island, yet there is a shop, hotel etc within 10 minutes drive. Sept 2010. 9th comment: The house, furnishings and facilities were of a very high standard. The location was superb. June 2010.